This is Mookrus Garshak, also known as "Garruk". 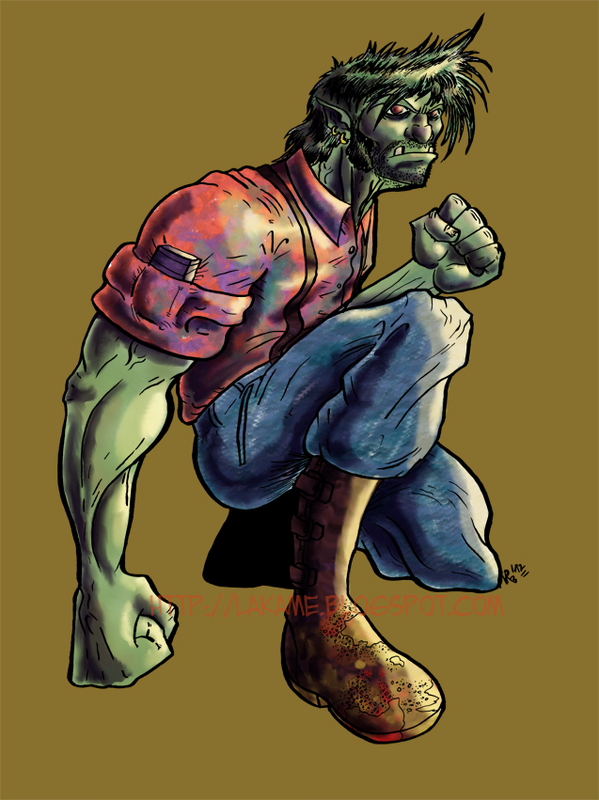 A lowly criminal from the fringe of New Caledonia; a ruthless orc, known also as "Green" (Garruk in orcish tongue), who lives from spoils and robberies. He dreams of being something more, someone of note. 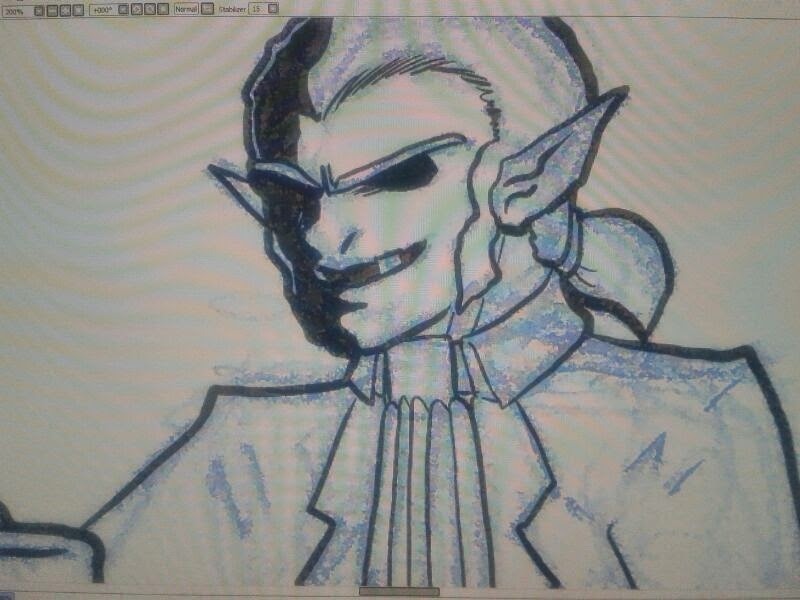 You will see Mookrus in the upcoming new Obliterast's adventure: "Monsieur O." Éste es Mookrus Garshak, también conocido como "Garruk". Un criminal de baja estofa de los suburbios de Nueva Caledonia; un orco despiadado, también conocido como "Verde" ("Garruk" en lengua orca), que vive de desechos y robos. Sueña con ser algo más, alguien importante. Podréis ver a Mookrus en la próxima aventura de Obliterast: "Monsieur O."